Looking to start my own ad network business self serving where unlimited advertisers, publishers and affiliate partners can register and manage their own account. 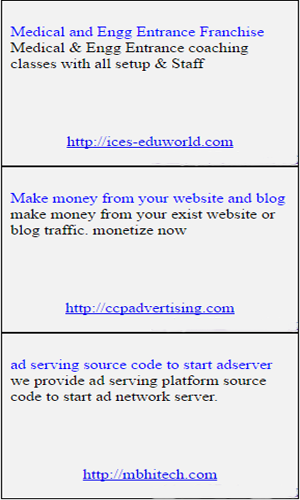 We provide ad serving platform to start own ad network for pay per click text ad, banner ad and video ad. It is alternative to google adword and adsense. MBHiTech Adserving Software server Serve ads on websites, in apps, and in video players, and collect detailed statistics about impressions, clicks and conversions. Manage campaigns for multiple advertisers and from ad networks all at once, via an easy to use interface. Define rules for delivery of campaigns and ads, including frequency capping, URL targeting, geo-targeting. It divided into four parts i.e. Advertisers, Publishers, Affiliate and Main Administration. Where any one can register as advertiser to advertise their products and business service online. they need to validate their account and can start giving ads as pay per click text, banner or video ads. Ads will be shown on the publisher networks as per targeted ad. But they need payment in their account and there are multiple options to add payment in their account. Creating ad needs keywords, geolocation to show ads as per visitors behaviors. Advertiser will have all reports total visitors, clicks, impressions, ctr, locations and can download it for further process or records. Are those have websites or blogs and have more visitors daily basis, they can register as publisher to make money by monetizing their website or blog content. If they register then they need to wait for few hours to get approved their account to generate ad code to showing ads on their website or blog. Once their account approved by administrative then they can create ad code and will place script code on their web pages or blog where they want to show ads. where you can manage all details and create multiple users to operate particular modules giving limited authority. All records or advertisers, publishers, affiliate with their total finance management. how much money spent by advertisers? how much they got response i.e. clicks, impressions, ctr, cpc etc. publishers how much they earned with ad code details. withdrawal request, payment histry. Same for affiliate for their references and earning. You can approve ads or stop. All process is automatic that from creating ads, showing on publishers network and ppc additions and deductions. are partners who can promote your brand or refer to another for advertising or publishing ads then they gets lumsum commission on reference. Advertisers, publishers and affiliate partners can register from your website and also you can do so more, You can create advertisers and their ads using any pricing model, including pay per clicks, cpm. The affiliates (site partners, media partners, or publishers) display ad campaigns from their websites. Automatically refresh an ad on the publisher’s page after a definable period of time (e.g., 60 seconds) to display a new ad without reloading the page itself. This gives you multiple opportunities to advertise within the same impression. Purchase a single ad impression, but use it to serve multiple ads. Each ad within the unit can be clicked, tracked and reported independently. There are no limits to how many ads you can serve within a single placement, and individual ads can be ordered and weighted to control exactly where, and how often, they appear. Impressions, clicks, and conversions (sales) are reported within seconds. Graphs and charts allow you to see statistics for any desired date range. And, all reports can be exported for use in Excel. How much money spent by advertisers, how much money earned by publishers, how much profit you/company earned, and much more reports on single click with your filter datewise and more. Host your creative media on our fast, reliable, content delivery network (CDN). Global content distribution means that your ads will load super-fast, anywhere in the world. Use tracking pixels to measure conversions or other actions. Revenue statistics are reported the moment a sale is made. MBHiTech Ad network Server is a fully hosted solution, which means that you can focus on advertising and leave the technical details to us. where advertiser want to show ads, example advertiser want to show ads in India Delhi only then ads will be shown to only India Delhi visitors. how much money want to spent on advertisement that can be managed by advertiser with daily budget, monthly budget and monthly budget. Also how many days ads to show and from which date to upto date. Advertiser can set keywords to show ads, If any visitor from targeted location searching or looking for laptops then ads will be shown to visitors of only laptops instead of cloths. That is called contextual ads. We do not take a percentage of your revenue like many other ad network solutions. Our plan has no commission or revenue sharing. We want you to keep much of the money you earn. This application has a flat and fixed monthly fee. You will need to subscribe to an impression plan. The impression plan covers our infrastructure cost to serve and track ads on all publishers within your network. The Application enables the management of multiple site of publishers and partners within your ad network. MBHiTech Adserver is an ad serving script developed in Asp.Net C# & MSSQL for personal or small businesses. It allows its owners to start their own revenue generating ad serving business. We have combined cloned features of AdSense and AdWords into script. Our powerful dashboard allows complete control from traffic stats to revenue management. Powerful revenue generating Script is available: Keyword, geolocation, bidding targeting Ads. All the functions you require to manage ads, Advertisers, Publishers, Affilliate and their revenue are incorporated into MBHiTech Adserver. The advanced and powerful architecture design enables easy management of your Ad server saving you time, effort & money. We have combined features from various different industry products like Google Adsense & Adwords, making MBHiTech Adserver script unique and more than just a clone script. Ads Tracking: Time is money. It is important to track ads live to change bid rates, track fraudulent clicks, track Click Through Rates (CTRs) and change Ads to improve CTRs if necessary. This is just better Ad Management. Customizable advertising server, promote your own brand name. White Label is a web traffic exchange platform, completely customizable which allows users to easily manage their websites and applications and all advertising campaigns on them. MBHiTech provide ad management script, top ad servers to start your own ad serving business with publishers and advertisers at single place. ad servers for advertisers, ad servers for publisher, third party ad servers create single platform where advertisers create ads and target to their audiences and publishers create ad code and place in website, blog or mobile apps to show ads. 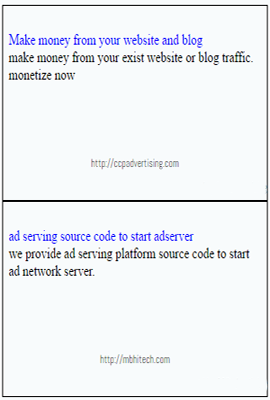 ad server companies develop ad server to serve ad according to visitors behavior using by cookies. For that people search and says to this platform like ad server open source, Best Publisher Ad Server Software, Best Advertiser Ad Server Software, Best Publisher Ad Management Software, Best Advertiser Ad Management Software, ad server, ad manager, ad serving, ad banner server, cpm, cpc, cpa, rich media, in-stream video ads, ad server, mobile ads, adserver, ad software, banner management, ad platform, banner ads, server side ad serving.